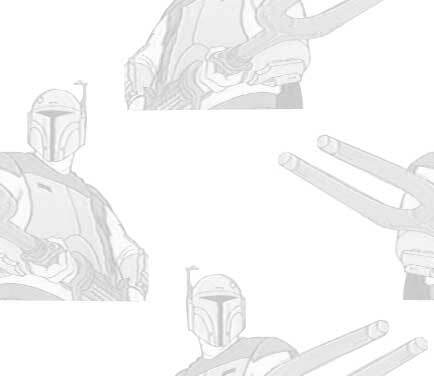 Stomp Tokyo's Star Wars Holiday Special Gallery - A New Hope! So far so good. 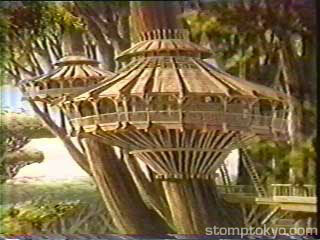 The title card, and the exterior of the Chewbacca household on the Wookie home planet. 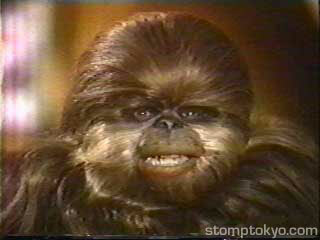 Chewbacca's wife Mala. 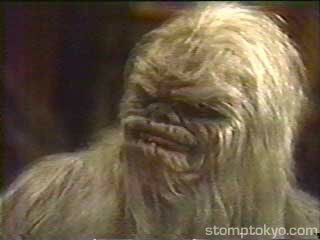 Notice that Wookiees are like Gumbies, only the females wear clothing. 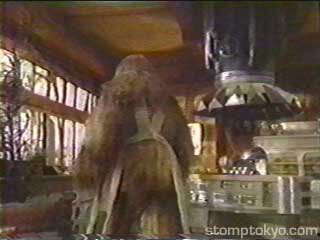 However, Wookiees don't ever cover their butts. 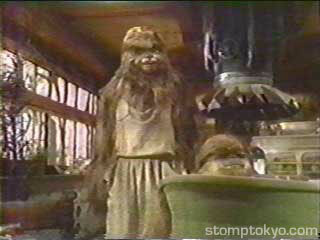 Itchy (Chewbacca's dad) and Lumpy (Chewbacca's son). An example of the special effects we see. Notice Lumpy superimposed on the matte painting. 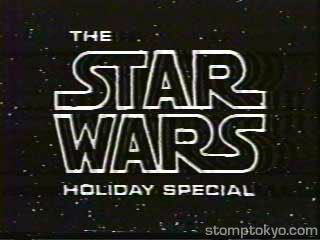 On the right is the one bit of Star Wars footage in the Holiday Special that we haven't seen before. 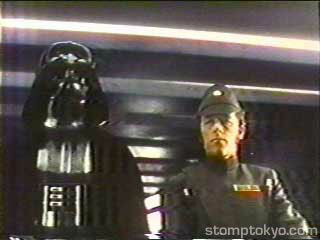 Chief Bast walks next to Darth Vader in a scene that didn't make it into the original film.